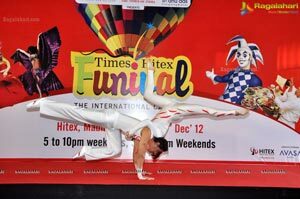 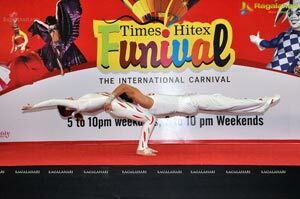 19th December, 2012: An International Carnival for the First time in Hyderabad is here to appease your children’s and family, Christmas and New year round the comer and the best option for your family to really freak out is FUNIVAL. 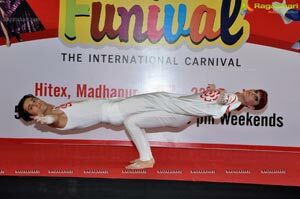 Funival - A First of its kind Carnival featuring Hot Air Balloon Ride, Games, Games Desk, International Cuisines, Juke Box, and many many more- A Day of Fun, Frolic & Entertainment is all set to be here at Funival-An International Carnival featuring at HITEX Grounds from 20th to 23rd December, 2012. 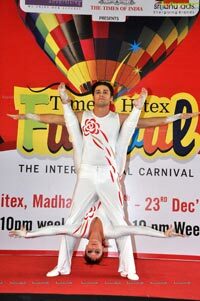 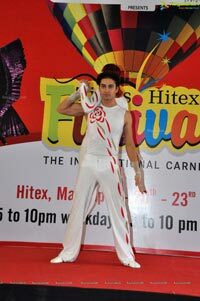 Hitex Funival-An International Carnival now presents Duo-Effekt-An International Troupe Famous for Dance & Aerobics, dynamic duo from Eastern Europe have mesmerized audiences all over Europe and Asia with their unique and entertaining performances. 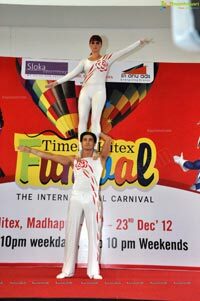 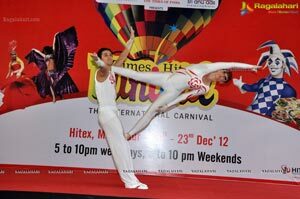 Their show includes: Duo Aerial Silk, Duo Aerial Ring, Balance Acrobatic Art and many more like fire shows, UV Lights show etc...DUO Effekt is all set to mesmerize the hyderabadi audience with their breath taking moves, dance and highly appreciated acrobatic skills.. .Funival is now all set to take performances of aerobics to the next level. 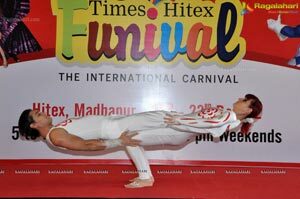 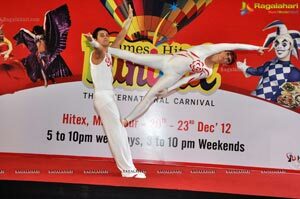 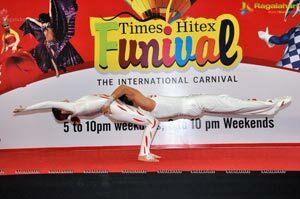 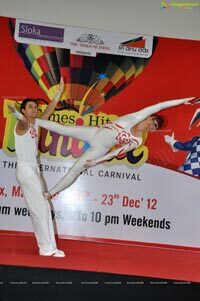 Funival is an exclusive international carnival featuring many games, cuisines, music, juke box etc. 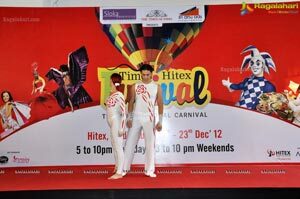 It is for the first time in Hyderabad Funival will be having Hot Air Balloon Ride which will be exclusively arranged from HITEX grounds, the carnival which here to provide a best of its kind experience for family and kids. 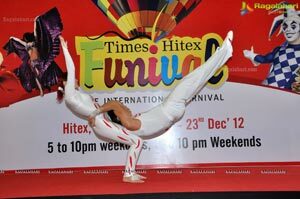 The holiday time around Christmas is now all set to be more exciting & energized. 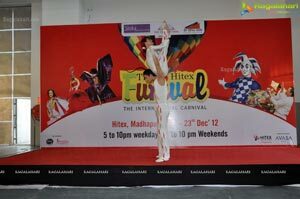 Speaking on the occasion of introducing team Duo-Effekts for Funival CEO HITEX Mr K.V Nagendra Prasad & Mr.Thomas VP Times informed that they look forward to provide the best of Entrainment and high Voltage performance from the DUO-EEFEKTS, he added that the visiting families and kids will sure be mesmerized with their breathtaking skills & acrobatic moves, he added that HITEX which are the best known convention centres of Hyderabad will ensure that this holiday season will be the best for kids & families.